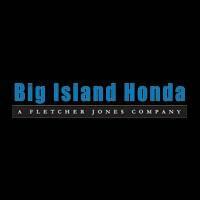 Hilo and Kailua-Kona drivers looking to stay up-to-date on vehicle maintenance are invited to take advantage of the Honda service coupons and specials at Big Island Honda! Here you’ll find our current menu of specials available at our service centers. Our service specials are constantly changing, so be sure to check back regularly for oil change coupons and more! Coming in for your Scheduled Service Maintenance? Let’s sweeten the deal. Save 10% on Recommended Repairs during your visit with us! Must present offer when your service order is written for offer to apply. Valid at Big Island Honda. Cannot be combined with any other offer or applied to past services. Does not include applicable taxes, shop supplies, and hazardous waste fees. Limit one original offer per person. Other restrictions may apply. Void where prohibited. See Dealer for details. Available at Big Island Honda. See dealer for details. It’s a misconception that going to a dealership is automatically more expensive than going to an independent mechanic. We offer competitive rates from the get-go, and our ever-changing list of Honda service coupons helps make authorized repairs more affordable. Rather than placing your Honda in the hands of less experienced mechanics, you’ll enjoy the peace of mind that comes with choosing factory-trained professionals. At Big Island Honda near Kamuela, we want to ensure you receive the highest quality of service for your vehicle. This is why our service centers are staffed by factory-trained technicians who are certified to maintain your Honda vehicle, keeping it on the road for many happy miles to come. We use only genuine OEM Honda parts and fluids, furthering our promise to maintain and repair your vehicle to the exacting standards of the manufacturer. Take advantage of our current specials and coupons by scheduling service today! You can schedule service online for either our Hilo or Kailua-Kona locations, or give us a call today. Contact our Kailua-Kona service center by calling (808) 202-2858 or our Hilo service center at (808) 202-2361.